Every Thursday, a box of fresh fruit and veggies is delivered to my front door As wonderful as the produce is–and it is wonderful –what is even more wonderful is the inserted newsletter from the farmer, Thaddeus. His words make me–city queen, the woman who complains that LA isn’t urban enough–want to work the soil, commune with the land. It is clear that Thaddeus has found his calling. And his passion, in turn, makes me passionate. His mission becomes mine. It’s this sharing of what we do and why it matters that drives others to care about the work we do. It’s the why it matters that really counts. Thaddeus tells me about the weather, the planting, but then he connects what he does to the food I’ll be eating–and sometimes to how the land is renewed. He shows me the benefits of his work; the joy I will get because of what he does. I gladly pay for my produce–and tell others that they, too, could be a part of this. This is what you need to convey to your prospects. Share what is amazing about your organization, and why it matters–to your clients, your community, your prospects. Tell us what happens because of the work, and how it changes lives, solves problems, creates solutions. Perhaps most importantly, make your prospects feel a part of your work. When Thaddeus writes of transplanting from pot to soil, or planning seedlings, I can almost feel the dirt, the moisture. And as I eat my food, I think I can taste the care that has gone into it. Show that to your prospects. Don’t tell what you do; show what you accomplish. 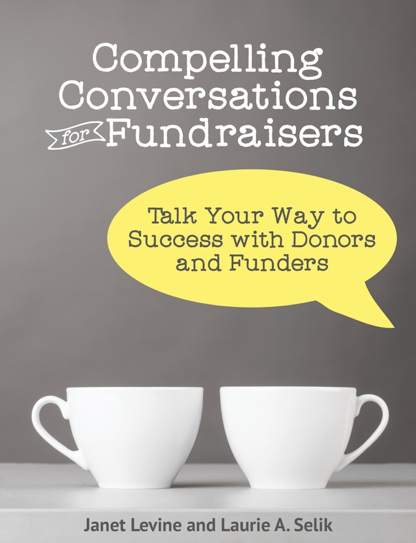 Create connection between your organization and your supporters. Use your words and your stories to make your supporters look forward to hearing from you and to feeling that they, too, are part of your work. This entry was posted in communication, fundraising and tagged calling, communications, cultivation, fundraising, mission, passion, prospects. Bookmark the permalink.